As most of you will probably know (and you can see by the above picture) our car park at the end of Hawthwaite Lane has been in dire need of some TLC for a few months now, with it being more pothole than car park and some of the potholes being big enough to lose a small dog in! You’ll probably all be glad to know then, that we have just had a contractor come in (Neil Martin) on Tuesday to level it all out and get rid of all those troublesome potholes! He had some great pieces of kit and the car park looks excellent now that it’s all been leveled off. It’s all still a bit wet at the moment due to the rain we’ve recently had so we’ll have to see how well it beds down but fingers crossed it’ll stay level and pothole free for the next few months. This is however only a temporary fix at the moment as we currently have some plans in the works to redesign and improve the car park area. We’re hoping to have these completed soon and have a brand spanking new car park by the end of this year. We now have a pothole free car park! The area to the south of our reserve is predominately wetland with the lower section regularly being inundated by high tides. Over time the ditches that take water off these marshes have silted up and the old tile drains have collapsed. This has prevented cattle getting into these areas to graze and therefore has changed the floral diversity of this area. As part of the higher level stewardship scheme for farm payments we embarked on a project to reinstate these ditches and install a sluice gate. Sandscale has seasonally fluctuating water levels and the amount of standing water present can vary dramatically across the seasons and from year on year. The sluice gate will allow us to control water levels to ensure sufficient water for breeding natterjack toads and a balance of wetland plants and grassland species. In 2012 the Centre for Ecology and Hydrology initiated a new dip-well monitoring regime on the reserve and also analysed data from previous studies. Over time this should provide key information to help inform water level management. On the 17thJuly 2014 a dog walker reported a dead whale that had washed up on the beach. Having experienced reports of a killer whale the year before, which actually turned out to be a habour porpoise, we weren’t really expecting to find what we did. In fact an 8.3m whale, which at this point believe to be a minke whale, had kicked the bucket and landed on our beach. 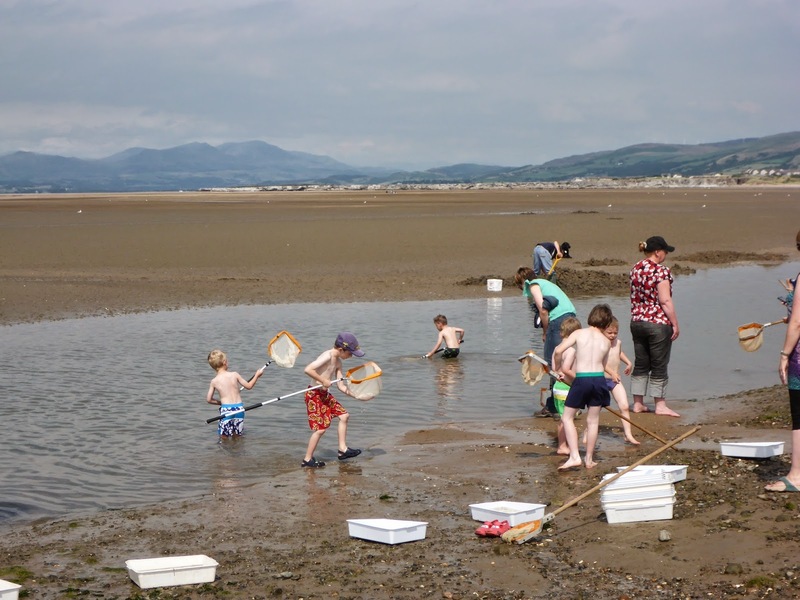 Use pond nets to fish for a variety of weird and wonderful sea creatures in the Duddon Estuary at Low tide. Nets and trays are provided. Explore the fascinating under water world of a stream using pond nets to catch all kinds of weird and wonderful mini beasts. 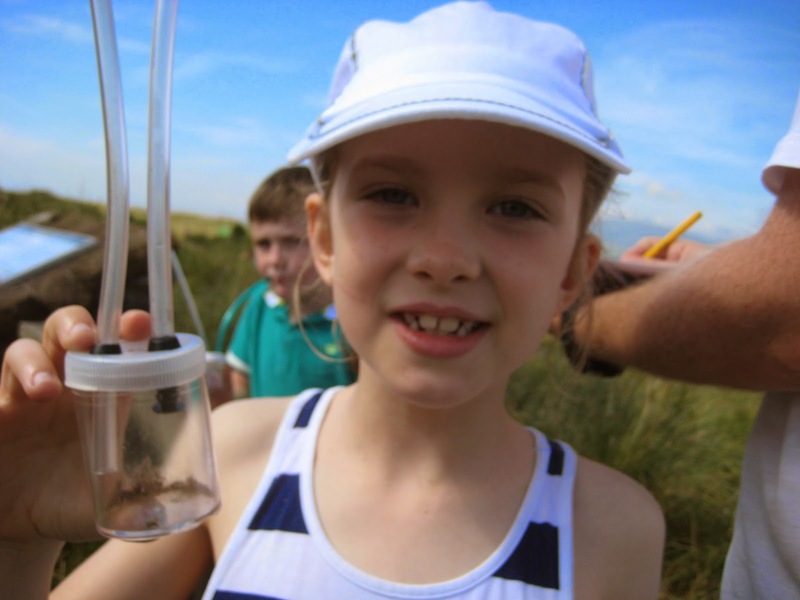 Take a journey in to sand dunes to explore the hidden world of mini-beasts. 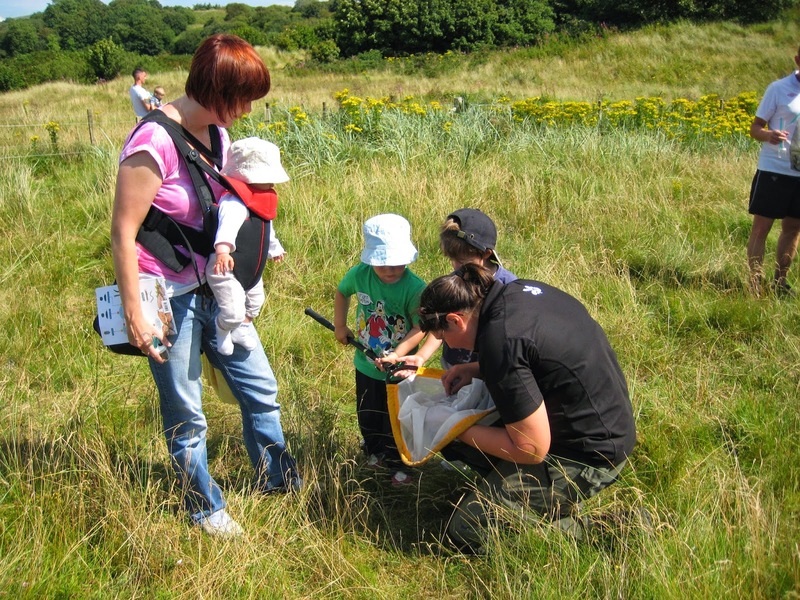 Take a journey in to the sand dunes to explore the hidden world of minibeasts. Free activity, all equipment provided. generally found in the younger dune slacks within relatively open areas. Marsh Helleborine and Round-leaved Wintergreen. 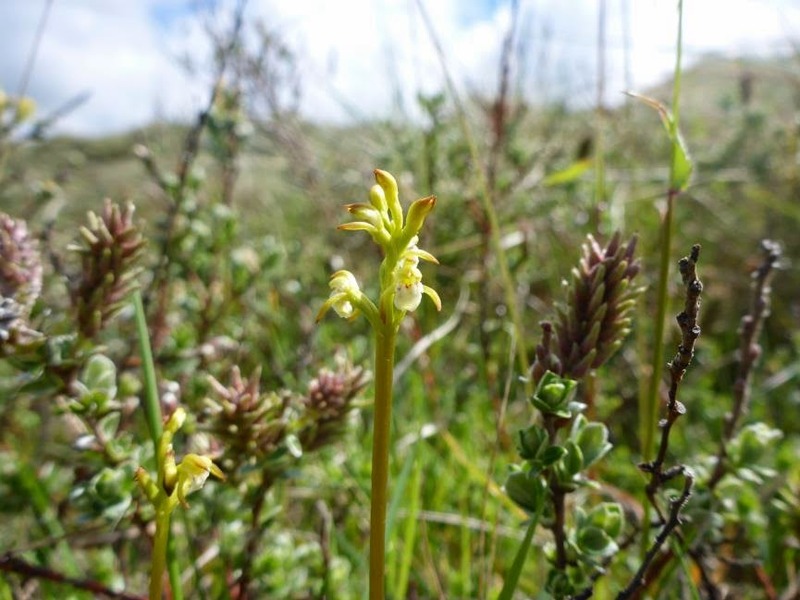 • Over 1,700 plants were found in intensive surveys carried out here in 1989. Recent counts are much lower with the highest being 332 in 2009.
new areas being created as well as changes in both climate and hydrology. We are lucky to be part of the Duddon Estuary which is home to approximately 25% of the entire population of natterjack toads in the UK. 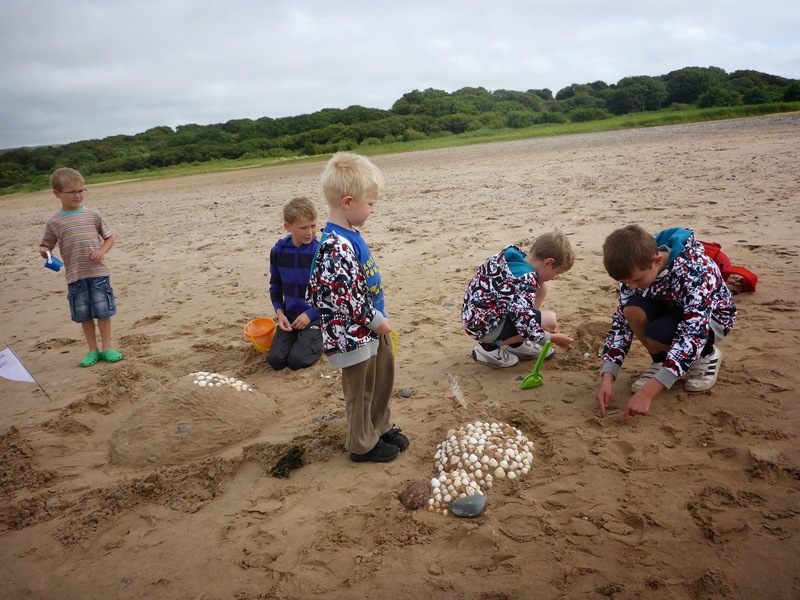 Here at Sandscale Haws we have about 1000 breeding adults and are one of the best places to see them up close. As they are such a vulnerable species, it is illegal to not only handle them, but to also disturb them in any part of their life cycle. For this reason Neil and myself hold a license, this allows us to monitor their population and give educational demonstrations out on site. By monitoring the size of the toad population over many years, we can ensure that we have the balance of our reserve management just right. Our tall, rank vegetation is grazed by our livestock, this keeps the grasses and rushes low in order for other flora to thrive. Trampling of the ground by cattle also exposes bare sandy patches which allow pioneer plant species to establish, as well as providing areas for the natterjacks to burrow into for shelter. This rich floral community provides habitat for thousands of insects of which our toads will amble after for it's dinner. Natterjacks being short-limbed need this flora to be kept short to journey over, this is done by the grazing. In summary, by keeping the numbers of grazing animals at the right levels, in the right place, we can ensure a happy, healthy population of natterjack toads. 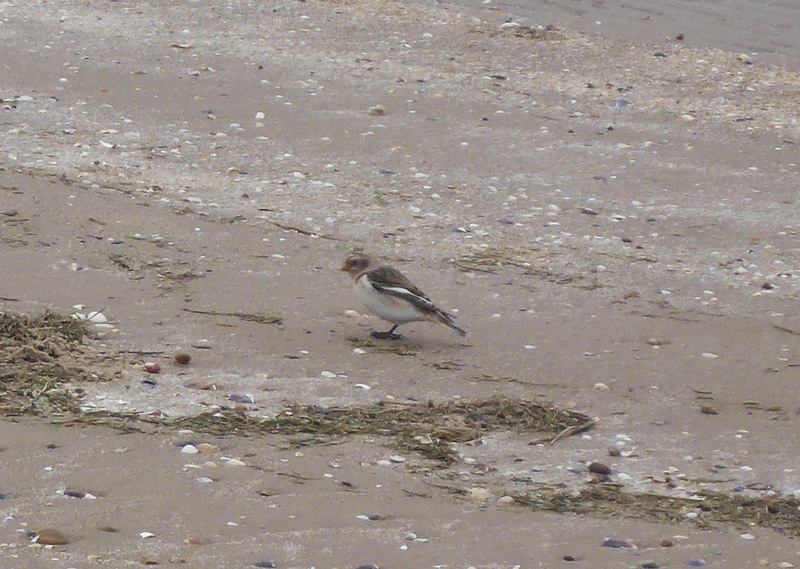 Monitoring is done by walking around the margins of all our pools at least once a week during breeding season (mid-April and mid-June) and recording the number of spawn strings seen. Fresh-laid spawn can be easily recognised as a double row of spawn, after a few days it becomes transformed in to a single row (see previous blog for photos). The skin of toads appears warty with large glands behind their eyes. The largest distinguishing feature to separate the natterjack from the common toad is the yellow line down the middle of it's back. Every line is different and can be used to identify an individual, very occasionally, though, you will come across a natterjack with no line. In this instance the colour of the iris gives the game away, with the common toad having a copper or amber colour and the natterjack having golden irises. Natterjacks are generally smaller reaching a length up to 7cm, with the common toad getting up to 8cm. Between the sexes, the female is usually the largest, requiring more body weight for egg production. The male can also be recognised by two darker inner edges of the first two toes on it's front legs. These are called nuptial pads and help him provide a firm grip on his female whilst in amplexus (mating). Along with darker toes, the males "wear the trousers" in the toad world and when on his back can be seen to have a line of darker pigment on his back legs that the female toad doesn't have. 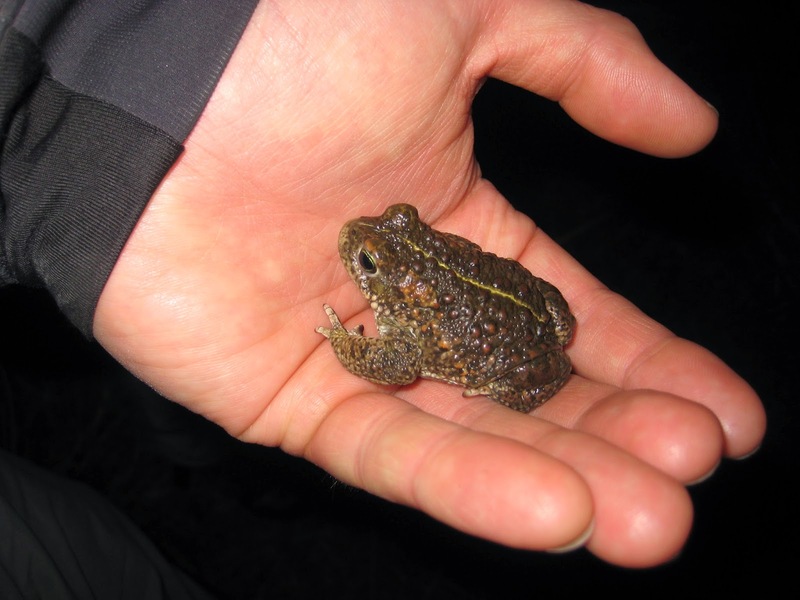 It is illegal to disturb natterjack toads in any stage of their life-cycle without a license, a guided walk by our licensed rangers ensures the best experience of these amazing creatures. The walk is about 1.5miles over uneven terrain and beach, passing water courses. Please bring a torch and warm clothing. The evening of the 30th March was kick off for the new natterjack toad breeding season, as the males started calling beside the pools. It wasn't until the 7th April that we had actually recorded any spawn strings. This is a freshly laid spawn string still formed as a double helix. Looking into the water from above they look like black bootlaces. After a few warm days the spawn have separated in their jelly strands. A week on, since conditions have been suitable, they have ingested their jelly and have started to look like little black commas.